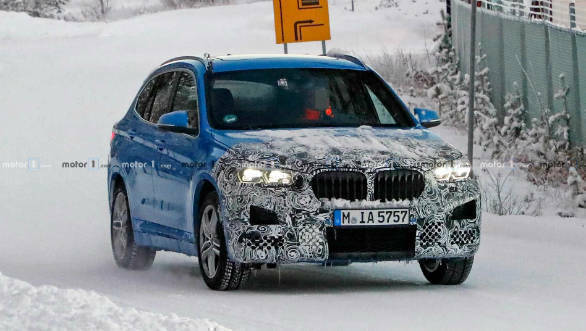 A new set of spy images have emerged which shows the refreshed BMW X1 undergoing testing. The SUV's mid-cycle refresh is expected to debut at the 2019 Detroit Motor Show. The changes seem to be focused on the front fascia, given that that is the section that has been camouflaged. A new bumper with large vertical air dams are visible. There seems to be larger grile and slightly reworked headlamps too. The design should bring it in line with the X2. The interior sees minimal changes. 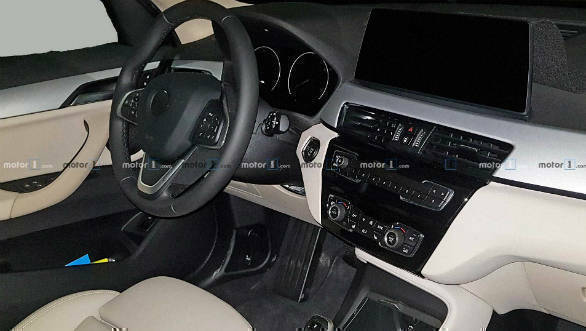 There is a large touchscreen infotainment and a new more angular gear lever.Engine options will most likely remain unchanged with possibly slight tweaks to improve efficiency and performance. The refreshed X1 SUV could be launched in India by the middle of next year. The current X1 is available in two 2.0 litre engine options in India. One petrol and a diesel. The diesel motor puts out 191 PS and 400 Nm while the petrol makes 191PS and 280 Nm. Prices start at Rs 34.5 for the 20d expedition version.